The Governor-General of Jamaica is appointed by Her Majesty The Queen on the advice of the Prime Minister, within the monarchical system of Government provided by the Jamaican Constitution. 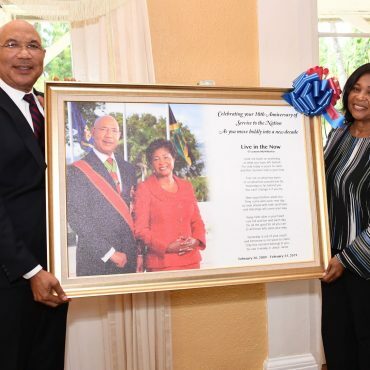 The Governor General is the defacto Head of State in Jamaica as Her Majesty has vested all executive authority in Jamaica to the Governor-General who at his installation takes the Oath of Office as prescribed by the constitution to function in her stead. The Governor-General is appointed in accordance with Section 27 of the Jamaica Constitution (1962), which states “There shall be a Governor-General of Jamaica who shall be appointed by Her Majesty and shall hold office during Her Majesty’s pleasure and who shall be Her Majesty’s representative in Jamaica”. The Governor-General carries out roles and functions that are fundamental to Jamaica’s democratic governance structure. Section 32 of the Constitution of Jamaica establishes the rules governing the exercise of the Governor-General’s functions. Firstly, The Office of the Governor-General is non-partisan, and provides objective and independent guidance to the Government of the day. The Governor- General exercises his executive authority either directly or indirectly through officers subordinate to him. 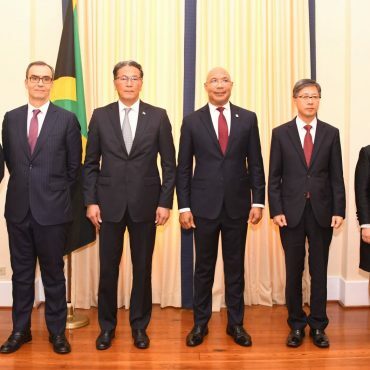 Among the responsibilities of The Governor- General are the appointments and Swearings-in of the Prime Minister, the Leader of Opposition, Cabinet Ministers, the Attorney-General, the Chief Justice, the President of the Court of Appeal and other members of the Judiciary. 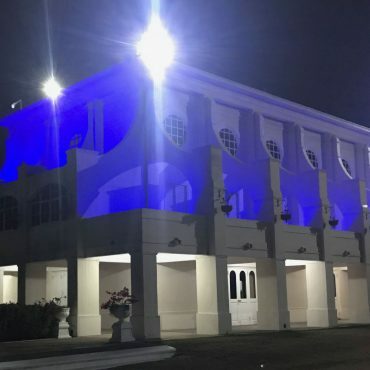 Other important appointments executed by The Governor-General are that of Privy Councillors, the Custos Rotulorum of each Parish, the Chief of Defence Staff, the Public Defender, the Political Ombudsman, the Commissioner of INDECOM, and the Contractor-General. The Governor-General convenes regular meetings with the Prime Minister, and where necessary with Members of the Cabinet and the Leader of the Opposition. The Governor-General chairs meetings of the Privy Council which advises him on the exercise of his Prerogative of Mercy, and appeals from public officers. He is also regularly briefed by the Chief Justice, the Chief of Defence Staff and the Commissioner of Police. Further, through the receipt of minutes from Cabinet and the various Commissioners on Government policy, he is kept advised on major Governance matters. Each Bill adopted by the Parliament must be approved by The Governor-General before it becomes the law of the land. 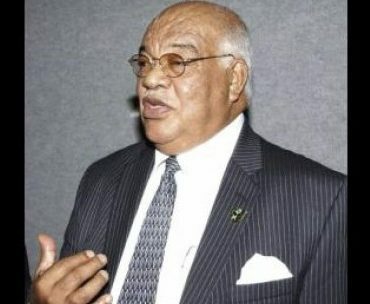 The Governor-General is also required to give formal assent to recommendations from the Prime Minister for proroguing or dissolving Parliament. 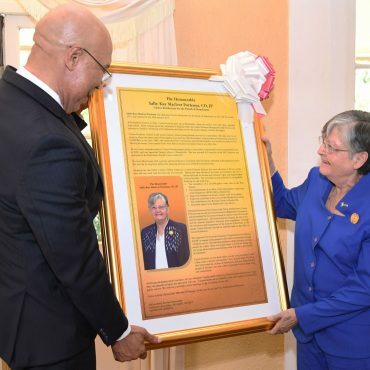 He grants formal assent to the conferral of Jamaican Honours and Awards and bestows these Awards in a specially convened ceremony at King’s House on National Heroes Day. The Governor-General frequently grants audience to overseas delegations, as well as to Jamaican public and private sector officials. He receives the credentials of newly designated Ambassadors to Jamaica who also meet with him prior to the end of their assignment. Each newly appointed Jamaican Ambassador and High Commissioner may also call on the Governor-General prior to their assumption of office. At the start of each Parliamentary year, the Governor-General delivers the “Throne Speech” in a joint sitting of both Houses, in which Government’s programme for the ensuing year is outlined. 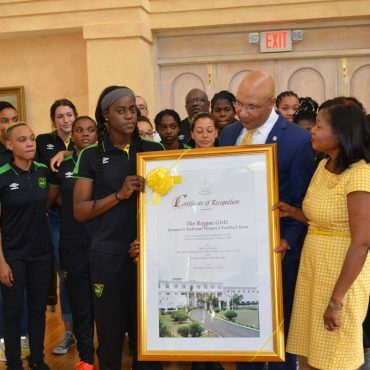 He hosts State banquets at his official residence, King’s House, whenever a Member of the Royal Family or a foreign Head of State visits Jamaica officially, and annually, in honour of the Members of the Diplomatic Corps accredited to Jamaica. He presides over ceremonies of investiture for national officials and participates in events on the national calendar, such as Independence anniversary celebrations, commemorations of National Heroes, and national prayer vigils. The Governor-General is represented in each parish by a Custos Rotulorum. However, from time to time he attends events of importance in the respective parishes. The presence of The Governor-General at cultural, educational and charitable events of national and local importance encourages nationwide interest and publicity. The Governor-General is Patron of the St. John Ambulance in Jamaica, in which capacity he has received the Knighthood of the Venerable Order of St. John. 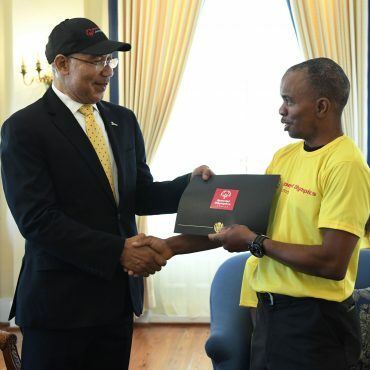 He also serves as Patron of several other organizations such as the Jamaica Agricultural Society, the Jamaica Cancer Society and the National Road Safety Council. 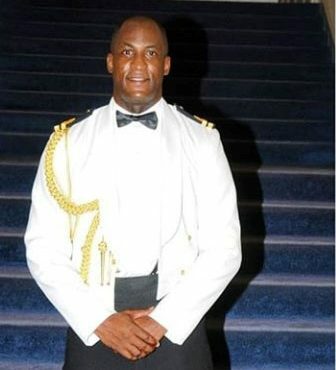 He is also Honorary Member of the principal service clubs and is Chief Scout of Jamaica. 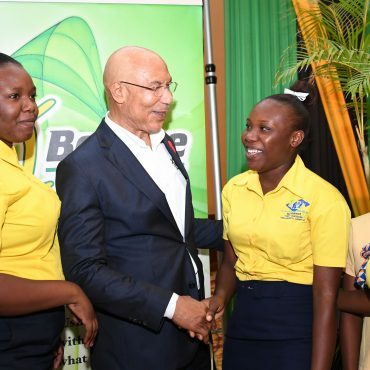 Frequently, the Governor-General acts in support of the organizations for which he is Patron and is also invited to be Keynote speaker, bring greetings or send messages to events across Jamaica and sometimes in the major zones of the Diaspora. 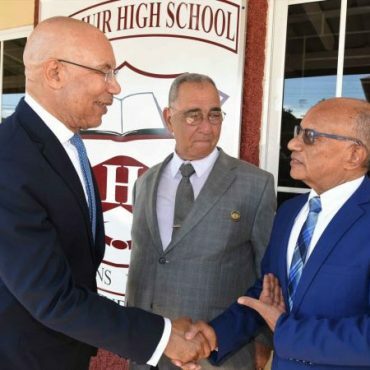 The Governor-General is also the “Visitor” for the University of Technology, in which role he keeps an eye on developments at UTECH and if necessary, might even go there for a substantive inspection. In response to citizens’ correspondence, he requests Her Majesty The Queen to graciously send greetings to Jamaicans who attain their centenary, or who celebrate their 60th wedding anniversary. He sends his own greetings to them as well. 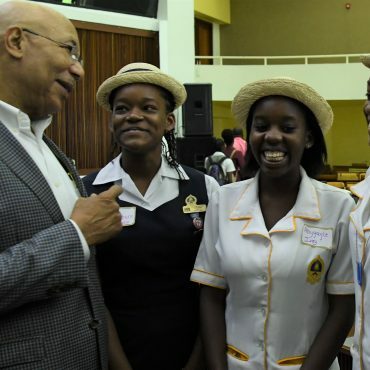 The Governor-General’s Programme for Excellence (GGPE) which includes the Governor-General’s Achievement Awards (GGAA) and the I Believe Initiative (IBI) is the principal vehicle for his community outreach activities which include frequent visits to schools, hospitals and corporate entities. 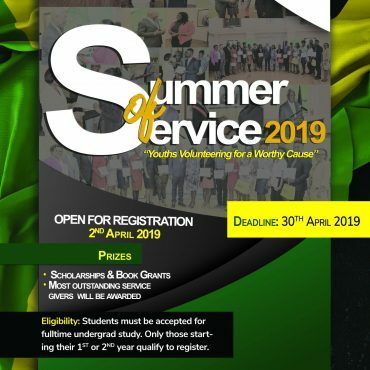 He also conducts annual parish tours, thus ensuring not only greater visibility and enhancing interaction with the people, but broader understanding of the many issues of interest to the Jamaican people.